“Whatever you do, work at it with all your heart, as working for the Lord … ” This verse from Colossians is one that we should all bear in mind no matter our circumstance – whether it’s an outside the home job, working inside the home, being at school, whatever. And this is a verse that came to me too late recently while Danger Boy and Ninja Cat and I were working on their Reading Fair boards. What is Reading Fair, you may ask. Go ahead you may ask? I’m glad you asked. Reading Fair is a cross between a book report and a science fair project. 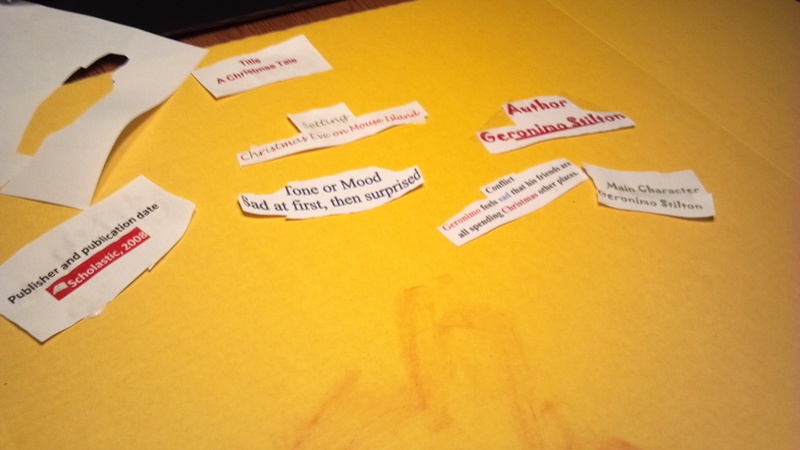 Each child took a book that they like (supposedly one they have read, more on that later), and build a poster style presentation on it using certain criteria. It has to have things like the title (obviously), publisher and published date, plot summary, setting, mood and things like that. So when my boys decided they wanted to do one, I figured it would be a good chance to let them take on a project mostly on their own. It wasn’t required for a grade, it was strictly extra credit. And they are pretty creative, so I thought this would a simple, easy project they could accomplish with little intervention from me. First of all, they procrastinated. That doesn’t surprise me. They are kids, boys and do take after their mother. Second, apparently after being out of school for a week or so they forgot how to use a computer to type a simple word document. This surprises me a little more, I told them I would do the font changes for them if they needed the help, but they didn’t even want to type. Third, Ninja Cat didn’t even read the book. It was a Magic Tree House book. I was surprised that he picked it because his current hyperfocus in books is Vordak the Incomprehensible: How to Grow Up and Rule the World. 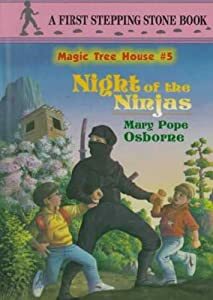 But, his brother gave him Night of the Ninjas for Christmas. So he wanted to do that instead after I bought a black board. I’m just glad Vordak’s favorite color and a ninja’s favorite color is black. He did get the book read in 30 minutes (no kidding). So we were able to proceed with his eventual dictation. 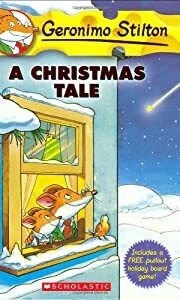 Danger Boy had his book read – Geronimo Stilton: A Christmas Tale. But he didn’t seem to be interested in decorating his board beyond the necessary elements. I should say the one thing he did do beyond is that at the end of the book there is a list of ways to say Merry Christmas in different languages. So again, I took dictation and manipulated the font to the desired format and let him go. Then it was off to the actual design. Then things got interesting. Danger Boy threw his pieces on the board, some with glue some with tape, drew a small Geronimo Stilton on there and was done. Ninja Cat took a little more time because he ended up doing his version of the cover in chalk on his board. 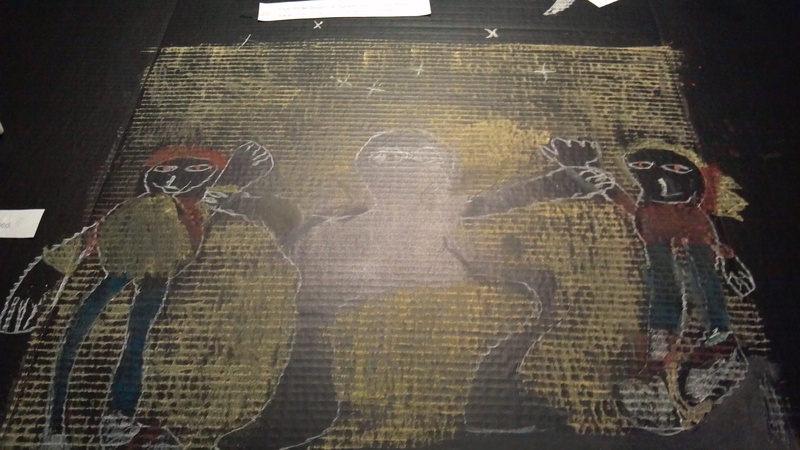 We had been on a Spotlight (the name of the gifted program at school) field trip recently to an art center where they worked with chalk and he really enjoyed it So he got some for Christmas and decided this was a great place to use them. I guess all of this is to say that the biggest thing gained out of this for them is hopefully some time management and project skills. They are in third grade after all. And I left the design and construction of the boards totally up to them. The biggest thing I gained is that we need to talk about that Colossians verse before we get in too deep on our science fair projects – which they’re doing research on as we speak, by they way. More to come on that. What are some ways you help/did help your younger children learn time management/project skills? I’d love to hear fresh ideas.